The ICU-Simulation Training at RNSH (ICU-STAR) programme was developed by consultants Carole Foot and Liz Hickson and clinical nurse educator Greg Thomson at the Royal North Shore Hospital, Sydney, at much the same time as we were developing the programme in the Severn region. The programme uses the same SimMan™ software and even the same unconnected Laerdal™ Mega Code Kelly™ manikin! A fundamental difference of the programme is that it uses 5-day long patient “journeys” as well as one-off critical incident based scenarios. Each day, the patient is looked after by a different nurse (or two), who do their usual checks and examination before the medical team attend a few minutes later. The same medical team sees the patient every day for the five days as “an extra patient on the ward round”, typically mid-to-late morning after the “real” ward round is finished. ICU charts and notes are made for the scenarios, which are updated by the team each day. ECGs, blood gases and radiology are also available. On some days, the team may just do “housekeeping”, but on other days, things can go badly wrong…. The training takes commitment, especially when the ICU is busy: bleeps may have to be held for doctors and not all of the team may be able to attend every day; but this is realistic! The training sessions may last 45 minutes or more per day including interactive teaching and debrief, and the programme runs about once every four to six weeks. 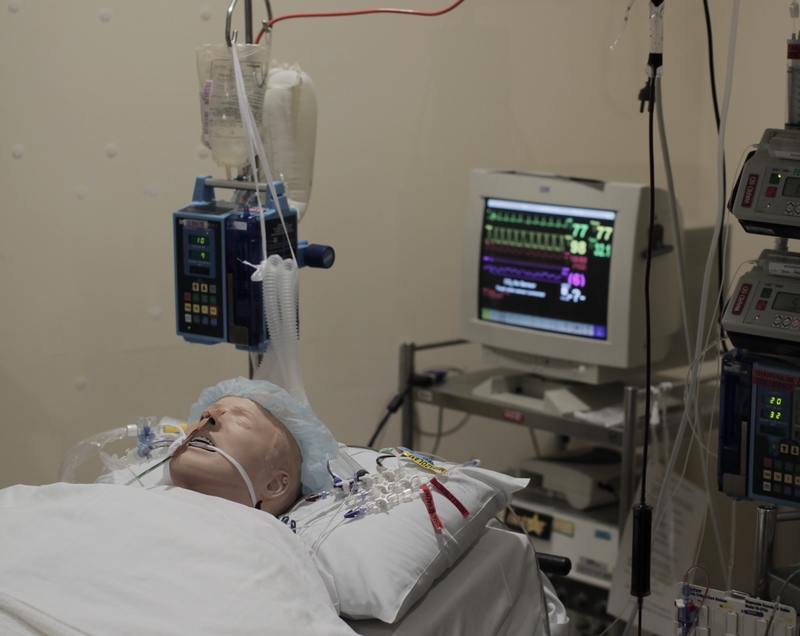 Fortunately, ICU-STAR has its own space in an old side room which allows for equipment storage and means that the manikin can be left set up. If you have the time and the space this may be an option for your hospital. An example of a patient journey can been seen in the scenarios section. Let us know how you get on!